Top Five Best Waterproof Cameras For 2019 - Which? We pick the best waterproof cameras tested at Which?. Waterproof, shockproof, freezeproof - our expert testing pushes these cameras to their limits. If you're spending your holidays snorkelling around an exotic reef or hiking through picturesque mountains, you may choose to leave your camera at home for fear of it becoming damaged by water or worse. With a waterproof compact camera, you needn't worry. The best can withstand being dunked in water and dropped from heights of two metres, plus they can still shoot great-quality photos and video. As well as surviving water and drops, these cameras are often dust and freeze-proof, so they're particularly useful for taking on skiing, beach or other adventurous holidays. They're also a great idea if you're very clumsy, too. These top-performing waterproof compact cameras are the best we've tested at Which? 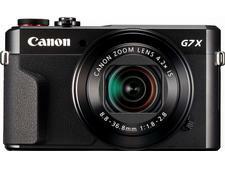 and are much more robust than a typical point-and-shoot model. We've put these cameras through their paces to identify if they're up to the task, plus we have some buying advice on features and specifications to consider before you buy. It's also worth knowing which waterproof cameras to give a wide berth so we've highlighted some models that aren't worth your money. This camera is pretty good for image quality, and in terms of specs ticks all the right boxes, but unfortunately it misses out on a Best Buy. However, it's definitely worth considering if you're looking for a compact camera that can handle the rough-and-tumble of everyday life. Worthwhile considering if you don't own a waterproof camera. With its fast shutter speed, 4K video and anti-fog glass that's designed to stop the lens misting up, this is one of the better waterproof models available. This is one of the cheapest waterproof models we've tested. It's a capable waterproof camera, but it isn't the best. Picture quality is OK, especially if you're using the camera in bright scenarios, but we wouldn't recommend looking at the photos in too much detail. At under £120, it's a decent budget option. If you're looking for a small and convenient camera to throw in your suitcase before going on holiday, then this model might be worth a look. There are better tough and waterproof cameras available on the market, but if you're shopping to a budget, it could be worth considering. Pricing, recommendations and test scores correct at May 2018. Not found the product for you? 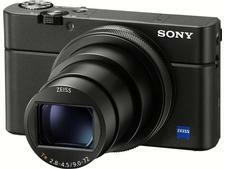 Browse all of our compact camera reviews. The worst waterproof cameras from our testing capture very poor-quality images and video, plus they're not as simple to use as you would expect. We've seen some models with poor build quality that capture photos that are fuzzy and with inaccurate colours, and feature treacle-like shutter speeds. Make sure you're not stuck with an inferior model. 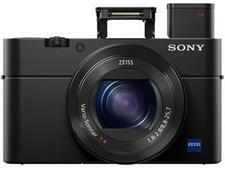 Despite appealing to budget-conscious buyers, we can't recommend this camera. It may be easy to use, but it falls down where you need it most — on picture quality. For around £350 more, you can buy one of the best waterproof cameras around, without having to compromise. To sum up, this camera is not worth your time and money. We marked it as a Don't Buy based on its performance and recommend having a look at the other top-rated models in the table above to use on your next holiday. Size and weight - Choose a camera that is small and light, and easy to shoot with one hand. Check that the camera controls are well defined and easy to use, as you'll be using it underwater. Waterproof depth - Unlike action cameras, this camera type doesn't require an external housing; you can use them in the water as is, straight out of the box. One positive aspect to note: these cameras typically have a broad water-depth rating, which can be deeper than for some action cameras. Drop resistance - The best cameras feature a drop distance of around two metres, meaning you can drop them from a certain height without the camera breaking. It's great for piece of mind, especially if you're clumsy. Photo resolution - The resolution of the camera's still photos will be determined by the sensor size and the number of megapixels it offers. The rule of thumb is that the higher the megapixel number, the sharper your photos will look. Video resolution - Video resolution can go as high as 4K Ultra HD (which is four times the resolution of 1080p), but very few waterproof compact cameras support this. It's more likely that you will find waterproof models with either 720p HD or 1080p Full-HD video quality. Wireless - A good waterproof camera will have some form of wireless capability, whether that is via wi-fi or a Bluetooth connection. Wireless connectivity makes it a cinch to transfer photos and video from your camera to a laptop or smartphone.